"So the YPJ is an army of feminists? "We stand for a radical feminism. We depend on ourselves and benefit from the experience of everyone. Women at home protect the essentialness of women. Our fight is as women (no matter if Kurdish, Syrian or European) and for a nationality that identifies with democratic autonomy and is opposed to the concept of the state. During the fighting for Shingal, women went to save other women. At Til Temir YPJ fighters went to save Arab women. We went to save dozens of women captives in villages occupied by Isis..."
"We are not soldiers, we are militants; we are not paid to make war, we are partisans of revolution. We live with our people, follow a philosophy and have a political project. At the same time we are carrying out a gender struggle against the patriarchal system. "At this moment in Kurdistan the role of women is historic, not only for Kurdish women and those in the Middle East but also at the international level. Our struggle aims at the creation of a new society starting with an ecological vision, the respect for nature, and the affirmation of the rights and identity of women. The world today is unstable; there are many threats, among these is terrorism. As women combatants we have a lot of responsibility toward all women. "fighting this enemy has become a symbol of identity and has mesmerized and won the attention of Arab, Assyrian, Turkish and German women (among whom there has also been a martyr). It's great what Nesrin Abdullah said about opposition to the state, revolutionary militancy, "creation of a new society", etc. But she as other politico-military cadres of organizations like PKK/PYD, YPG/YPJ are well trained to say one thing at one moment and exactly the contrary in another context and combining both with the same belief and eloquence. "YPJ commander Nesrin Abdullah said they had met with great interest, adding: “Everyone at the Presidential Palace was talking about the success of Kurdish women. They said the spirit of Kobanê was in Paris. If it hadn’t been for the victory in Kobanê such a meeting could not have taken place. For Kurdish women’s military force to have been welcomed like this made us happy. It is important to be accepted officially." That’s enough joke and let’s become serious again! This ridiculous event is nothing but the confirmation, if necessary, of the bourgeois character of the organizations (PKK/PYD, YPG/YPJ…) that contain and claim to represent the social movement of subversion of this world in Rojava (despite its weaknesses and limitations, which are in the image of those of the global proletarian struggle). We are obviously not going to be amazed at the announcement of this “Tea Party” at the Élysée Palace between supporters and representatives of different sectors of the world capitalist State and the ruling class, in this case here its French and Kurdish branches. We will not be amazed either at the media heavy silence on the side of leftist circles, libertarian and other, who didn’t have too much the taste to spread the information about this event, too embarrassed they were to see their PKK/PYD idols “slumming” with the highest political representatives of the “French State”. I bet they ask the U.S. State Department for anti-tank weapons too. The YPG and YPJ are not the only offenders among the many armed groups in Syria using child soldiers, but they can do more to stop the practice, Human Rights Watch said. on June 13, the YPG had demobilized 27 boys and, on April 20, the YPJ had demobilized 16 girls. In addition, seven YPG officers had been punished for accepting child soldiers – three expelled from the force and four demoted, although the group gave no names or dates. On July 5, the YPG and YPJ issued a circular to commanders and heads of recruiting centers saying they were not to recruit or accept anyone under 18. Those who fail to comply will face “maximum disciplinary measures,” the circular said. An additional concern is the Kurdish group’s creation of a “non-combatant category” for children aged 16 and 17, based on a reservation the group entered with Geneva Call’s Deed of Commitment. The reservation says the group will continue to recruit and accept 16- and 17-year-olds but not have them perform military functions. Under customary international humanitarian law and the Rome Statute of the International Criminal Court (ICC), it is a war crime for members of armed forces or non-state armed groups to conscript or enlist children under 15, or to use them to participate actively in hostilities. Ten of the 59 children who allegedly joined the YPG or YPJ over the past year were 15 or younger. The June 5 report of the United Nations secretary-general to the Security Council on children in armed conflict said that the recruitment and use of children in combat in Syria had become “commonplace.” The United Nations verified cases of 271 boys and 7 girls who had been recruited and used by groups affiliated with, among others, the Free Syrian Army (142), YPG and YPJ (24), ISIS (69), and al-Nusra Front (25), and the actual numbers are believed to be higher. Some armed groups fighting with the Syrian government, such as Hezbollah and the Popular Committee, also reportedly recruited children in small numbers, the report said. Hey Flint you're right (#154), the link I provided is indeed broken but it's surely because "Firat News Agency" removed the article not a long time ago. Some days ago, I mean this week, when searching on Google with keywords "nesrin abdullah firatajans pledge hollande", the link was still referred to (even if indeed it was already broken). But today not anymore!!! So what? Firat was too much ashamed to see "anti-state" and "anti-capitalist" Kurdish parties so close to capitalist powers like e.g. the state in France? Just a question of tactics? So what??? "I bet they ask the U.S. State Department for anti-tank weapons too. The problem is not so much that your pets didn't (yet) get any anti-tank weapons from the U.S. State Department... If they really didn't... I'm somehow very skeptical about as everybody knows how the U.S. and their allies of GCC did and I presume are still doing with other rebel groups today!!! BTW they surely have another agenda!!! But the problem is especially why (though they are so "anti-state" and "anti-capitalist" as many of their followers pretend they are!!!) they asked weapons (or anything else) to a state power!!! In Hasakah, the Syrian Arab Army continued to lose territory in southern part of the city to fighting with the Islamic State. It also continued to cede territory in the northern part of the city to the YPG/YPJ. The YPG/YPJ then performed a pincer maneuver heading coming from the east and west to cut off the Islamic State's supply lines--encircling them--effectively trapping the Islamic State forces in the city. In Sarrin, Islamic State counter-attacked north to break the YPG/YPJ's seige. Syria Status of Control map showng population centers, airbases and oil fields. How much did the PKK change after Öcalan adopted "democratic confederalism" and renounced Marxism-Leninism? Are there such things as elections within the PKK or can you choose your own commanders? Is it less "authoritarian" than before? I was not there when it happened. A few of the old guard hold on to such dogmatic ideas... but are never really respected and are never really listened to. I'd say the party really believes in now though. How many female commanders do you have? How has being with the YPG/PKK change your view on women/feminism? At one point my unit commander was a woman, my sector commander was a woman, my area (front) commader was a woman, the regional area was a woman, and even the canton commander was a woman. Yep. A lot. It's changed my view a lot. I was pretty degenerate before... I'll admit. When I first came I couldn't believe that they thought they could fight! Nor did I think very much about what women's rights meant or what feminism (in its real form) is. The Western Feminists are terrible ambassadors for this form of thinking. After I joined, and slowly, I changed when I realized that the best people in the party are almost always women... the bravest are usually women... the most mentally stable and kind-hearted are also women. The ideology of APO has in some ways made this impact on both us, men (in the party), and on them by allowing them to build their own institutions (like the YPJ) to combat sexuism. Moreover, I've had so many female commanders that my general respect level for them is much higher than the male ones. I'd also like to mention that one of the famous Kobane snipers, Musa, was a a friend of mine -- but if I had a chance, of course before he was killed, I would take a female commander over him any day. That's a lot of female commanders. Are they given these roles based on merit or is it to break social structures of men being in charge?Merit. How active are the YPJ on the frontlines? Are they treated any differently than the YPG? How could they be treated differently? Beyond the shampoo and extra soap rations they get... I mean, and the fact I can't directly give them an order... it's hard to imagine how they could be treated differently. What do you mean by different treatment? They're very active. Very active. Just google Sehid Givera on youtube or any of the videos of Kobane and you'll see plenty of YPJ fighters there... fighting. About feminism again, do you think that the society in Rojava has changed a lot? Of course, before, it was a patriarchal place like any other, and Apo's ideas have the purpose of liberating women. Ofc we have the YPJ to deal with women's issues, but how have these ides become popular among the normal population? And are these policies popular? Like making women fight. Yes it has. But let's be honest, Syria was much more left-leaning, richer, and more westernized than the other three parts were before the war. So we're launching from that point. Now, feminism, as it's understood in Rojava, means arming women, giving them seperate institutions, allowing them to make important political decisions for themselves and society. This is going on right now and I've never heard any of the civilians complain about this. I think it's because, and let's be honest, women work better with societal organizations than men do! It's also a big change from before the war when Bashar Al-Assad's tribal leaders in certain areas dictated much of what went on in Kobane, or Cizre, or Efrin. Plus, the women are far more impartial -- from what I've heard, compared to the previous administrators. How supportive of a Kurdish nation state are the local people in Rojava and Bakur? Many songs and poems talk about a Kurdistan but the main parties there are not nationalist. 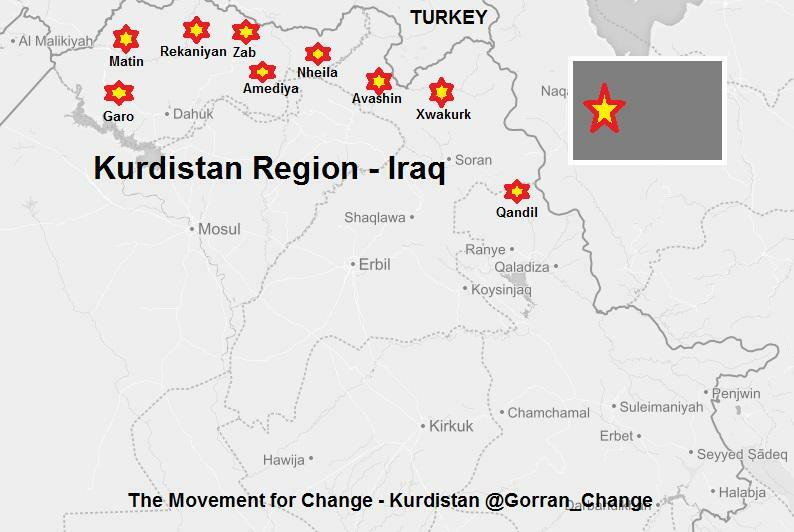 Even you speak about South and North Kurdistan but PKK do not want nation state. I assume people support it, what is going on dude? The party feels the nation-state idea is not necessary and not even politically feasible right now. Why bother with it? We can do so much more in a federated system? One nation-state, whenever it's created, wherever it's created, goes on to oppress a certain group of people. Let's create a local system of government that respects the various differences and is local, and I mean truly local, so it can be inclusive too. I know the officers/commanders in YPG were well into the ideology of "Democratic Confederalism". My general impression though is that the common Kurdish soldier in YPG is much more motivated by Kurdish nationalism. How does the general command reconcile these two different viewpoints? No, Kurdish Nationalism does not mean what I think you think it means. It simply means: if you attack me I will fight. If I win, and I am part of a group that believes in Democratic Confederalism, then I get to have a government that can implement this. I am fighting for it, am I not? That's what 99% fighters would say if you could ask them their straight forward opinion. Everyone knows what Democratic Confederalism means in the YPG/HPG... all of the organizations. It's the beating heart of this army. what do you mean by democracy? I would refer you to any book on good governance in economics. I also would refer you to political philosophy either from Bernard Williams, from left-wing authors as well like Noam Chomsky, or to Abdulla Ocalan's work himself. However, I would personally define it as the ability to define concerns and implement them at a level in which people are not discriminated against, women, men, children, old people, and have a voice in some way in their community. For example, committees are a good way of implementing this. Especially, local ones and so forth. There have been accusations from both both Arabs and Syrians that Kurds (largely the YPG/PYD) are forcing people out of villages and cleansing villages of local Arab populations and destroying them. Have you seen anything like that happen on a systemic or even rare occasion? I have seen us go into an Arab area and they ran away. Why did they run away? I have no idea. We weren't going to hurt them. How could we hurt them? If were to even touch one of their woman a YPJ fighter would have taken out her AK-47 and blew me away. The only I have seen a village burn was when our unit, some of the fighters I was responsible for, they blew up a house that had IEDs in the doorway. So we blew it up. Then it burned. Then it burned down the house next to it. Then it spread to half the village. When night came half the village was gone! Not only did I get castigated... I got arrested, thrown (unjustly) into a cell in Kobane for it, and had to wait until an investigation was finished into what had happened. To this day I have a black mark for that happening. I suppose we could have not blow up the house? (maybe, but I think if a house is rigged to blow you just blow up the house because you don't know if there are other trip wires connected it). We had to use that village for a nighttime defense operation and there was no way I was going to let that house stay there... all the while it was mined. Seriously, Arabs, if we're coming... STOP RUNNING AWAY FROM US. You guys saw in Tal Abyad that they ran away from us. As soon as we got there, with female fighters and all, from the reports by my friends, they came back. We won't steal your stuff, we won't take your house. Most likely you'll be interviewed about how you got your income, how you lived, who you knew who joined ISIS. Now, if you worked with them, if it was for an income only, then you get arrested, interviewed, and released. It happens all the time. The local village police then monitor you. I was wondering if you could elaborate on the organizational differences between the PKK and PYD/YPG. In the chat you said PKK fighters can't get married while YPG could. Is there any other major differences? There's a lot. We're completely different organizations. There are PYD offices in Europe. They, those who work there, do not communicate the PKK on anything. However, ideologically speaking, we're the same. What is the gerilla main opinion on YDG-H? Do they consider them to be part of PKK or not? PKK is just an ideology. If you say you're PKK, then you're expected to name the actual organization you're apart of. Even in Qendil if you say you're PKK people will kind of smirk and say, 'what do you mean, which organization are you referring to? Are you HPG? PJAK?' and so on. How much influence do FSA groups have? Are they important? They have a lot of influence. They're Arabs and a lot of the areas we're fighting in are Arab areas. We respect them... we hope they respect us. We can't advance into an Arab village without them agreeing to it or supporting us. It's not right. I've seen us being delayed a number of times because they didn't have the numbers to support us on an operation into an Arab village. But arent you worried they might be extremists like Ahrar al Sham, Nusra, etc.? How popular is the Rojavan Revolution within Rojava? Has it extremely strong support? We all know that the PYD is not the only party in Rojava and that we have the KNC too and Barzani sympathizers. Do you think that the people there - possibly Arabs and Kurds alike - are extremely supportive? From Young to Old, male and female. in terms of popularity, obviously it takes time. There's a lot of changes that even people in Kobane don't like (Bashar al-Asad used to give free bread to the people... now they have to pay for it or ask for welfare if they cannot afford it). Such a policy has not been entirely popular... even though it will be up for agreement in the next few months once things settle down and the logistics issues can be fixed in Kobane. However, I know this "nan" issue is irking a lot of people. What do you think about the current peace process with Turkey and do you think that it will be successful? I wish it the best. Both the government and the party made a lot of mistakes. I just hope that the two sides can realize that this bloodshed accomplishes nothing. Really -- it accomplishes nothing beyond enlargening egos. I'm tired of this war in Turkey, aren't you? But I'd like to get the basic rights that the party is arguing for. Can't it be resolved peacefully? 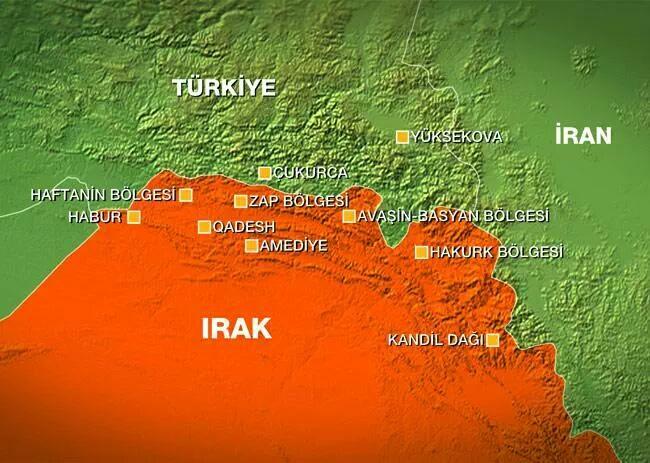 What do you think of the likelyhood that the Turkish army will take over a buffer zone in northern Syria. And if it happened how it would affect the power balance in the area. I don't think they'll do it. If they did it -- it would not be good for them. It would not be good for us. It would be good for everyone else though. What are the chances of the YPG & SAA reaching a more permanent peace? Never -- unless they give us autonomy. What do you think about SAA and Baathism? In one of your responses you mentioned that you guys wish to expand west, do you think a deal can be struck with the islamist rebels there to combine your efforts against ISIS? Never. We'll fight them too. Is that a good idea if it means making another enemy? Plus that would make a deal with turkey almost impossible. What is your take on Al-Nusra,Ahrar Sham and other Islamist groups ? On those ones... they have the same ideology -- but of course internecine warfare creates small differences. People try to enlarge those differences as if they are, truly, different. In reality, they represent the same thing: fascism. Fascism has a specific meaning. AAS (Ahrar ash-Sham) are not fascists. AAS? The Islamic Front? Who supports them? Who would give them the legitimacy to form laws in that area? Are they going to allow representative forms of democracy in that area they control. If not... they're fascists. Arab nationalists, Arab Islamists, etc. etc. they're the same to me. They oppress people, big or small forms of it, they do it. I'm tired of them, aren't you? ...fascism in its modern forms is a symbolic ideas. You're looking at the fake wikipedia definition of fascism. You have to interpret fascism and how it manifests itself around the world. There are more symbols of fascism, effecting people right now, then there are wikipedia entries. The academic definition is of little consequence. What humanitarian aid organizations have you seen working in Rojava? In Sinjar? MSF, Hevya Sor, UNHCR? They're there. They're amazing organizations too! I don't have too much good to say about UNHCR. I never see them -- just their tents. But Doctors Without Borders, Hevya Sor, they're really fantastic organizations in my opinion. We always see them delivering things right when things turn bad. In Shengal Hevya Sor was right there with us when we opened the corridor. (comment from an Aid Worker, not the PKK fighter): "Not OP, but IRC is pretty big in Rojava. Save the Children are out there too. UNHCR is not an NGO, but they and other UN agencies like UNICEF have some reach there because the regime is in the area as well as the Kurds. Whereas in rebel-controlled Syria UN has no presence because the government of Syria isn't there and because they didn't have authority until the UNSC resolution. MSF has a hospital in Sinjar, but in general their model is not very well-suited to protracted conflicts in the middle east." Two battalions--Zaza & Jund al-Heremin (small groups of fighters numbering 50-70) have been "fired" and ordered to leave Kobane because of charges of robbery, unethical actions. "Oil is not the only way that rebels can make money. Another outfit from Manbij, the Jund al-Haramein brigade, has gone in for the grain racket. In exchange for "protection" from other groups trying to force their flour upon customers, bakeries in the city are obliged to purchase flour sourced exclusively from mills controlled by the al-Harameins. And in case ISIS or Jabhat al-Nusra ever becomes unhappy about this arrangement, the al-Harameins can simply opt for protection of their own — by joining the Ahrar al-Sham family. In September, indeed, Jund al-Haramein announced that it was already affiliating itself with the larger group, a move that should suffice to deter any hostile action." An explosion has killed at least 27 in a municipal culture center in the southeastern province of Şanlıurfa’s Suruç district, as scores of people have been hospitalized. "We are concerned that the number of death will increase. The perpetrators will soon be found and put on trial," Turkey's interior minister said in a statement on July 20. There is speculation that the blast was caused by a 18-year-old female suicide bomber from the Islamic State of Iraq and the Levant (ISIL). At least 300 members of the Federation of Socialist Youth Associations (SGDF) were staying at the Amara Culture Center as part of a summer expedition to help rebuild Kobane, which lies directly across the border from Suruç. The culture center, which is run by the Suruç Municipality under the control of the Peoples’ Democratic Party (HDP), frequently hosts visiting journalists and volunteers who work with refugees from Kobane. The hashtag #SuruçtaKatliamVar (There is a massacre in Suruç) entered the worldwide trending topics list on Twitter soon after the explosion. Kadir Ergün, an eyewitness, told CNNTürk that he was 100 meters away from the explosion. "It is hard to describe it with words. Blood donations are urgently needed. The people of Suruç are now called to donate blood," he added. İsmail Kaplan, the HDP's deputy head in Suruç district, told journalists that a simultaneous suicide bombing hit the town center of Kobane, which had been repeatedly attacked by ISIL in the past months, too. Speaking to daily Hürriyet, security sources in Ankara have confirmed this claim. "If it is Daesh [ISIL], it will not stay in Suruç. Very soon we could end up like Syria," said Muhsin Kızılkaya, a deputy from the ruling Justice and Development Party (AKP). "It's a big massacre. The probability of a suicide bomber is very high," HDP deputy Leyla Güven told Habertürk. "Suspect information has been provided related to the number of deaths. Some say that everyone in the group died." This Suruç attack is grim. On the plus side, my Izmir comrade S (who was due to go to this, but cancelled at the last minute due to family health issue) tells me that both Kurrem and our Black Rose comrade have survived the blast. However apparently 10 from Izmir are amongst the dead and a further two from Izmir that S and Kurrem have had some contact with are amongst the injured in hospital. Thanks for the update Ocelot. Glad to hear that Kurrem and your friends are ok; as you say a tiny piece of goods news in what is just horrific overall. Just back from the local solidarity demonstration. This is all very ugly. I'll never understand how someone can do something like this. And yes, thank you Ocelot for the update. Gruesome attack on innocent people. Terrible crime. Arab and Turkmen refugees in Akcakale had complained that the PYD regards everyone as a potential IS militant. On the other hand, it is not only Arabs and Turkmens who are not allowed to cross back into Syria. The same goes for the large number of Kurdish refugees waiting at the border. Some had fled Tell Abyad because of the fighting between IS and the YPG, while others had migrated from other cities in Syria after IS had invaded them. They said they had been forced to enter Turkey because the roads in northern Syria were blocked. It seems that the PYD is not discriminating against any particular ethnicity in its closure of the border. Arab and Turkmen refugees on the Turkish side of the border said that they had not been forced to flee, but had run away because of the clashes between IS and the YPG. The newly emerging local governance of Tell Abyad also does not appear to be acting in a discriminatory manner. A local parliament has been formed for the first time there, and I attended the first gathering, on July 16. Its members are not only Kurdish, but Arab, Turkmen and Armenian as well, representing the diversity of the local population. Moreover, the Free Syrian Army, supported by the West and Turkey, is also represented. Muslim claimed that this inclusive model is being applied in all of the “canton governments” and local parliaments. The non-Kurdish members of the Tell Abyad governing body whom I talked to expressed their satisfaction over the liberation of the city from IS by Syrian Kurds. They told of atrocities committed by IS members when they controlled the town, for almost two years, before the Kurdish forces expelled them. They said that IS executed or harshly punished anyone who failed to comply with its strict Sharia rules. In short, non-Kurdish residents do not seem to be overly concerned about who and which ethnic group rules the region at the moment. They are merely happy to have survived IS. Arabs, Turkmens and Kurds appear to have unified in the face of the IS threat. They don’t have the luxury of fighting each other because IS doesn’t differentiate between ethnicities in its cruelty. This has forced the different ethnic groups to seek cooperation among themselves. The same is true for the PYD. At the moment its top priority is the fight against IS jihadis. This in turn makes it dependent on everyone’s cooperation, including Arabs and Turkmens. "CHP Vice Chairmen: We will build the library and the children's playground the massacred youths wanted to do in Kobanê." "CHP Deputy Chairman Veli Ağbaba said the responsibility for the bombing lies with the policies toward Syria put forth by MİT and the Justice and Development Party (AK Party). “There must be consequences. MİT has been already politicized. The undersecretary [Hakan Fidan] should immediately resign, as should the interim interior minister [Sebahattin Öztürk]. We call on the government to take responsibility,” Ağbaba stated." Looks like CHP is increasingly trying to position itself as more sympathetic to the HDP than the AKP. Or perhaps are worried about losing the support of leftist Alevis, traditionally one of their most loyal constituencies, to the HDP. Rojava and Catalonia: Linked Through History, ypgrojava.com, July 19, 2015. Last night we had a solidarity picket outside the Turkish embassy in Dublin (in solidarity with the victims of the Suruc massacre and calling on the Turkish state to end it's support for ISIS) and a Kurdish comrade was reading out the names of the victims and a brief line or two of their age, where they came from, what they were studying (most, not all, were students) etc. One of the women killed was apparently a CHP member from Istanbul iirc (haven't got details just yet). So rather than being mere political maneuvering, I think it we can take it that CHP's response had also an element of personal grievance. I could not find mention of any killed CHP member in Turkish news. I am also very doubtful about such thing. I think there is a bit of misinformation going on there. Also concerning CHP and its actions, (and in line with Ocelot's views I guess) well CHP -I think- does not really have a progressive political agenda, it is rather pushed to left by the rise of HDP in recent elections. For example HDP does not have enough parliament members to call for an emergency meeting of parliament. so HDP sent invitations (two times) to CHP to make a united call for emergency parliament meeting. Both were rejected by CHP. Now yesterday CHP made a call for an emergency parliament meeting all by itself (they have enough pms.) So CHP wants to look more progerssive than HDP and do not lose votes to it in future elections. However I am skeptical about the real wish of CHP for a truly some sort of united leftist front to push back AKP and its neoliberal politics. As CHP still fails to understand the Kurdish nation. Its discourse is based on a fiction of a Turkish republic that was never united except the help of violence and social and economical inequalities. As CHP still avoids answering this questions it is "edgy" progressivism can come back as another form of anti-terrorism (which AKP is also very keen on, thus uniting AKP and CHP on some more abstract level against the Kurdish democratic autonomy project in the name of the Bigger "Turkish" national project). About current anti-terrorism operations wave in Turkey: It is against IS, PKK DHKP-C and some other realitvely minor leftist groups. Today one person is killed (from DHKP-C a stalinist organisation) 251 people are arested. Most of whom are PKK member. So basically the Turkish State is using the IS attack to its advantage to further hurt the Kurdish freedom movement. Also this piece about the lack of any confrontation between IS and Cops, and lack of any arested IS militants despite the "aims" of anti-terror operations. Also about The Turkish attack on IS in Syrian territory. Prime Minister said: Our attack will not stop. We hit Is hard. We will target everyone that is a threat to us. We won't stop. HDP on the other hand says these attacks are made to prevent Rojava and essentially against Kurds. AKP wishes to realize the its buffer zone dream in Syria to stop YPG/J. Juan Cole's speculation that AKP's action against ISIS is because of fear of losing further ground to CHP and HDP in a snap election. No mention of the arrests of suspected PKK/YDG-H and DHKP-C members. Lots of reports of Turkish jets strike pkk camps in Iraq: basyan, avaşin, zap, hakurk, amediye, kandil also reports about mahmour. The ceasefire in Turkey has ended. It appears that Tayyip Erdoğan is not happy at all that hdp crossed the threshold and consider kurdish movement a threat to republic. There were also lile 200 new arrested with charges of pkk yesterday. Operations still continue. Hpg armed wing of kurdish movement in Turkey started killing and kidnapping police forces. It appears another war has started by dirty politicians who just want to protect their power and let poor people die for them. The future seems very uncertain. There is also thread of IS attacks on civiliabs as Turkey attacked IS targets in Syria. Previously idlamic government basically let them grow in Turkey as a counter measure to kurds and socialists. So basically they are sort of invisible for now. However we are not sure what will happen when they act. Also I think I can explain something. The places Turkey bomb are not directly guerilla places. However camps generally surrounded by villages and communities of civilian people. Where there is agriculture, civilians doing other jobs and also relatives of guerillas who come to visit their relatives etc... Hpg still did not give full report but in its text it said civilians were killed in bombing. This seems rrue as guerillas have a history of war witg turkry and they know how to be protected from bombing. In essence this bombing will definitely force hpg to retaliete. Should I also start a Turkey news section? The recent developments although they are related to Rojava, with the help of AKP's war politics increasingly become related to Turkey and civil war in it. Anyway, yesterday SGDF's peaceful event for its martyries is brutally repressed by Turkish state. Also Turkish major did not allow "The Big Peace March" that was planned for Sunday (26th July) in İstanbul. The organisation committee is currently discussing this development.